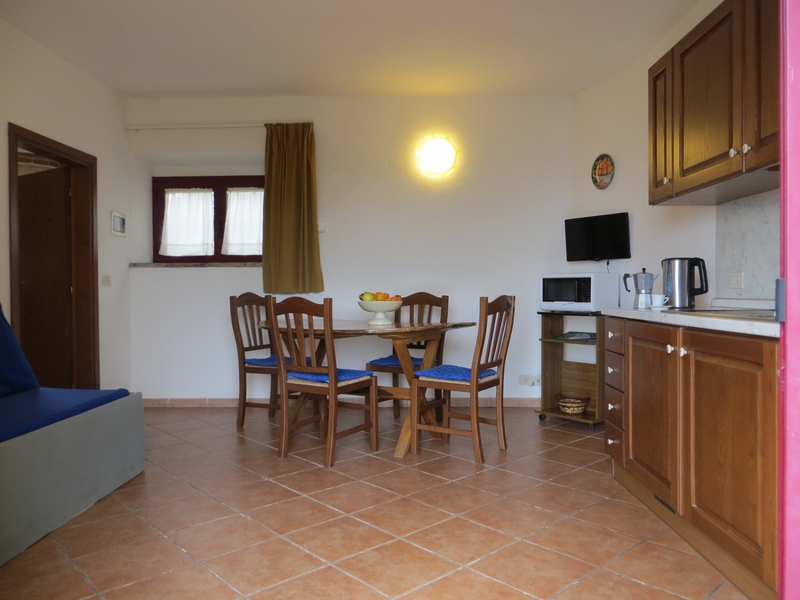 Apartment with a kitchen and tv, one double bedroom, one bathroom with shower. The apartment is situated at the first floor. Outside the ground floor there are tables, chairs and umbrellas for common use. The apartment can host one more child (max 12 years old) with accommodation in a camping cot, extra bed, at no extra cost.